Good basketball news from Armentières? Armentières' promotion to the LFB made the basketball news headlines last May because 90% of the players came from the region. This is not the case this season as the club has become more professional and have recruited players from all over France. 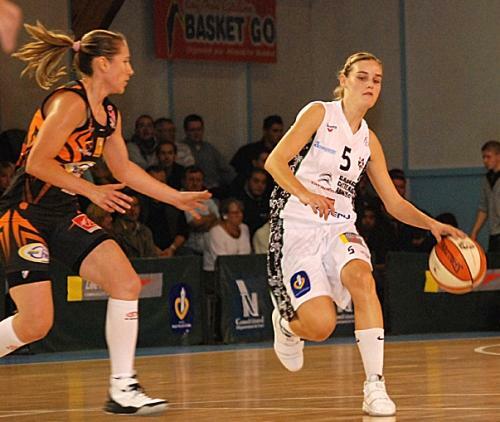 Marie-Frédérique Ayissi (right) explained after the defeat at the Open LFB that although the players were young, the honeymoon was over and that they had to learn quickly and adapt to life in the LFB. This weekend they hosted Bourges Basket and played much better despite losing (50-60). Elsewhere during the second round Mondeville got past Villeneuve d’Ascq (81-70). Tarbes won on the road against Nantes-Rezé (82-67). Arras needed double to get past Challes-les-Eaux (67-65), Montpellier won against Basket Landes (76-60) and Toulouse held off Aix-en-Provence (73-72). Limoges’s first home game in the LFB in nine years ended in defeat (56-90) against Cob Calais. Pierre Vincent and Bourges Basket did not have it easy against newly promoted teams in recent seasons. It was no different against their hosts Armentières. Marie-Frédérique Ayissi's only point of the game came from the free-throw line. Her side led for exactly 16 seconds. 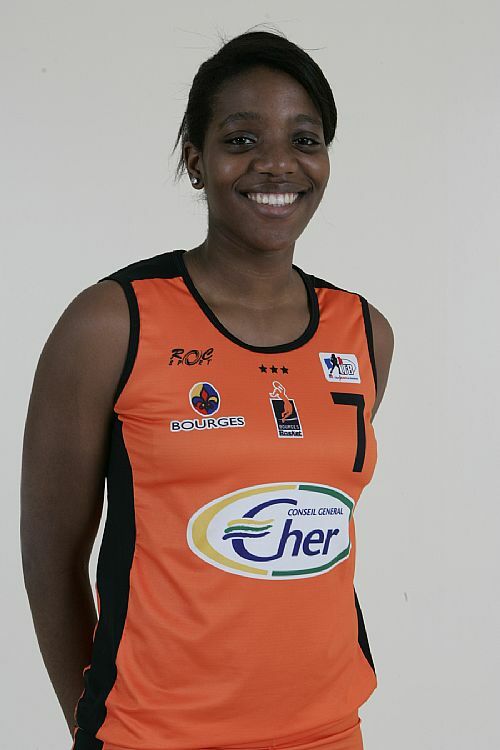 Emméline Ndongue started to throw her weight about in the paint and scored 4 points to get Bourges going. Nwal Endéné Miyem (left) took over the scoring with 7 straight points for Bourges to move 9 points clear (13-4) with just under two minutes to play in the first period. A three-pointer by Gaëtane Merlot got the home fans on their feet. Yet Anaël Lardy from Bourges put an end to their opponent's hopes a few seconds later with what was the last score for the first quarter (18-7). Bourges dominated the second period and led by as much as 23 points after scoring 11 unanswered points to go into the locker room leading (40-22). Armentières were more lively after the break. With Virginie Bremont running all over the court, dishing out assists and hitting a couple of three-pointers, her side started to reduce the deficit. Armentières outscored their guests (9-2) at the end of the quarter and went into the final period trailing (39-50). 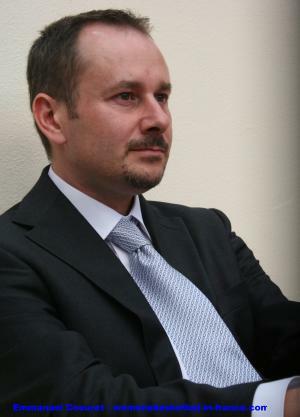 Pierre Vincent, the coach from Bourges, had no choice but to attack at the start of the final quarter. Once again Ndongue quickly followed by Miyem threw themselves into the offensive battle and ended the game as a contest (57-41) with just over seven minutes to play. Bourges then paced themselves to victory with Miyem scoring 18 points and Ndongue 14. Bremont had 16 points (4-of-5 from beyond the arc) and 5 assists in defeat and was joined in double digits with 15 points from Anda Nedovic. The expectation was high that this match would turn into a three-point shooting festival. However this was not the case. Mondeville hit 7 from 11 attempts with Lenae Williams (left) going 3-for-4 to also lead all scoring with 19 points. Villeneuve were 10-for-22 with Jolene Anderson leading the way with 4-of-7 in her 16-point tally. Mondeville's last home victory against Villeneuve was back in 2006-2007 where the game went in favour of the home side during a hectic final quarter. This match did not start at an electrifying pace with Villeneuve leading (3-2) after three minutes of play thanks to a shot from the land of many from. Jolene Anderson (right) scored a three-pointer late in the first quarter which kept her side in the game as they trailed (17-20). In the second period the game became more aggressive with Mondeville holding on to their advantage to go into the locker room leading (36-33). Ingrid Tanqueray was highly motivated on her return to her former club and was at the centre of everything as Villeneuve regained the lead. Laurie Datchy's three-pointer for Villeneuve appeared to be the kick that Lenae Williams needed as she quickly scored 5 points. Anderson responded with a trey and the teams were level once again (45-45). Both teams played end to end basketball in typical LFB fashion for the rest of the quarter with Villeneuve leading (55-52) going into the final period. The game was becoming rather messy with Villeneuve holding on to the advantage (64-59) after Anderson hit her final trey of the game with just under sevon minutes to play. Caroline Aubert who was having a strong game replied with a three-pointer. The pendulum swung in favour of the home side as they went on a 19-0 run. Aubert finished with 10 points and 8 assists. Yacine Séné also had 8 assists. Williams led the scoring with 19 points, while Aurelie Bonnan and Valeriya Berezhynska scored 17 each and Aija Putnina 12 points. For Villeneuve Anderson led the scoring with 16 points. Elodie Bertal, Datchy and Tanqueray chipped in 12, 11 and 10 points respectively while Emilie Gomis scored 9 points and dished out 6 assists. Arras should be happy with the victory (67-65) despite the fact that it was not a great game to watch. However the suspense at the end and double overtime made up for the first 38 minutes. Magali Lacroix opened the scoring in this match after picking up an offensive rebound from a three-point attempt for Challes. Arras did not waste much time in getting on the score sheet and went on to score 8 unanswered points with 5 coming from Johanne Gomis. The two teams traded baskets regularly for the rest of the period with the hosts Arras leading (19-12) at the end of the first period. They continued to trade baskets all through the second period with Arras going ahead into the locker room (36-31). Challes played much better defensively during the third period and finally came back to level the score (38-38) with 2 points from Martina Luptakova-Gyurcsi with just under six minutes to play in the third period. Both sides traded baskets for the rest of the quarter with the hosts leading (46-45) going into the fourth quarter. Hanna Bouldwin-Biernacka and Kirby Copeland did most of the scoring for their teams as they remained on equal teams(52-52) with just under six minutes to play. Copeland was just about everywhere for Challes while Marielle Amant joined the Arras offensive. Challes thought they had won the game when Marie Ruzickova scored with just under 13 seconds to play in regulation time. However Leilani Mitchell had other ideas and delivered a nicely weighted pass to Bouldwin-Biernacka who hit the three to tie the game. Challes had no time to launch an attack. Overtime was hectic but neither team had control and the game was decided on the buzzer. Mitchell intercepted a wayward pass by Copeland. She then fired off a shot that did not drop but Johanne Gomis (right) was on hand for the inbound to score. Gomis led the scoring with 19 points and was 3-of-5 from beyond the arc. Bouldwin fired in 17 points while Olesya Malashenko had solid 16 points. Mitchell played for 44 minutes and dished out 5 assists. For Challes Lacroix finished with 20 points while Copeland scored 17 points and Ruzickova had 12. The basketball news headlines in Calais after this weekend is that the team is back after missing out at the LFB Open. The suspense did not last long in this game with Calais leading by 10 points after five minutes (14-4) and (32-9) after the first quarter. Calais did the damage with a 15-0 run which more or less ended the game as a contest (23-4) with just eight minutes played. Limoges finally got their heads above water during the second period with Erica Davis doing all she could. Yet Calais went into locker room leading (50-29) with Lauren Neaves (left) on 14 points and 8 rebounds and the Swedish international, on 12 points. Limoges were unable to raise their game during the second half of the match allowing Calais to walk away with an easy victory (90-56). All nine players from Calais scored with six finishing in double figures. Neaves was the best player on the court with 16 points and 11 rebounds for Calais. 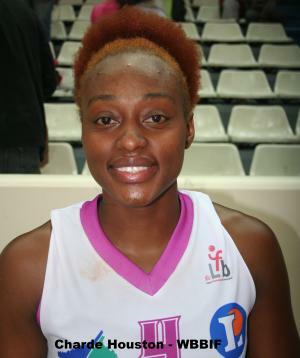 Erica Davis finished with 15 points and 15 rebounds for Limoges. Toulouse had some hot games last season while playing in NF1. 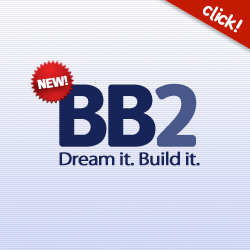 They appear that they want to do the same this season. They beat Aix-en-Provence (73-72) in a game that saw the lead change no less than 14 times and the game tied on nine occasions. Aix-en-Provence had the satisfaction of not losing a single player to 5 fouls in this game but must be a little frustrated with the way the game ended. They left Leah Metcalf from Toulouse open for a three-pointer with about 43 seconds left to play(73-67). Emmanuel Coeuret head coach from Aix called for a time-out to set u a three-point play. 12 seconds later Tiffany Stansbury got the ball over to Isabelle Strunc in her favourite position to hit the three-pointer. Toulouse messed up the next attack and Emilie Maurice from Toulouse was called for a foul on Ivona Matic. Toulouse had a chance to take the game to overtime. Julie Page returned to the game with two seconds left to add some height in case of a defensive rebound. Matic unfortunately missed the first shot which then meant that Aix had less than two seconds to score a three. Matic missed the second chance and in the scramble Claudia Das Neves somehow got the ball and fired in a shot for two points. The shot was good but no foul was called and Aix lost by a single point. Metcalf led the scoring for Toulouse with 18 points while Matic had 21 points for Aix. Montpellier showed no mercy to their guests for the first 20 minutes as they dominated them in all sectors of the game and led (47-27) at the interval. Basket Landes - as it is in their nature - played better in the second part of the game but had too much to do and in the end were unable to make up the deficit. Sandra Dijon-Gérardin led the Montpellier attack with 16 points, while Sabrina Reghaissïa and Anaïs Le Gluher scored 12 points each for Basket Landes. 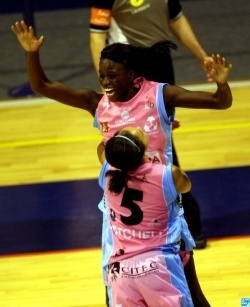 Charde Houston (left) fired in 26 points as Tarbes won on the road against Nantes-Rezé. Tarbes took a couple of minutes to get going and led (12-5) with five minuets played and (23-10) by the end of the first period. Tarbes stretched their advantage (34-17) with just 15 minutes played and then went to sleep. Nantes took full advantage to go on a 13-2 run. Frida Eldebrink fired in a trey for Tarbes to take them into the locker room leading (41-37). After the break Tarbes quickly got into their stride and kept the hosts at bay with Houston, Anne Breitreiner and Isis Arrondo doing all the scoring. 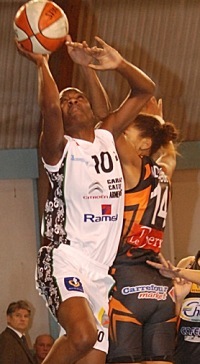 Lindsay Taylor’s height caused Tarbes problems as she continued to draw fouls. But she was not a factor on the offensive end. Tarbes controlled the pace of the game. With Houston on fire Tarbes notched up victory number 2.